Experience the difference that our Luxe family of payment solutions and services Luxe delivers: At the Checkout. In the Aisles. On the Go. The Luxe 8500i, Luxe 6200m and Luxe 3300a address innovations in payment acceptance, customer engagement and mobility, while providing the highest levels of security. Luxe devices are built with technology that significantly improves efficiencies and reduces overall operating costs for resellers and customers serving the retail, hospitality, healthcare and financial services industries. Developers benefit from an open and consistent operating platform coupled with payment software and integration tools that allow them to quickly deploy the same applications across the entire line of PCI PED 5.x-certified stand-alone, integrated and mobile terminals. 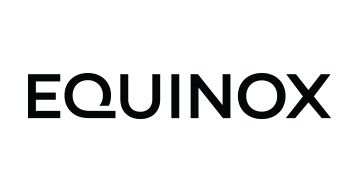 With over 35 years of industry leadership, Equinox is a trusted advisor, a technology innovator, and a true partner. Our approach is straight forward, personable and simple: we listen and build partnerships where we assist our customers to excel in the direction of their choice.